The Harper government has always had an ambivalent relationship with the Temporary Foreign Worker program, on one hand defending the businesses that say they have a legitimate need for the program, on the other working to rein in its abuses. But recent comments from Employment Minister Jason Kenney would suggest that the Tories — or at least Kenney himself — are growing pretty frustrated with the whole issue. In an interview with the Charlottetown, P.E.I., Guardian this week, Kenney outlined an argument against the TFW program that sounded more like something that would come from the mouth of an NDP MP than a Conservative. He suggested foreign workers are essentially open to exploitation because of their temporary status in Canada. “When people come in from abroad on a work permit, their immigration status is conditional on their work,” Kenney told the newspaper. “So often those folks that come in, the managers know they’re going to show up every day for work. 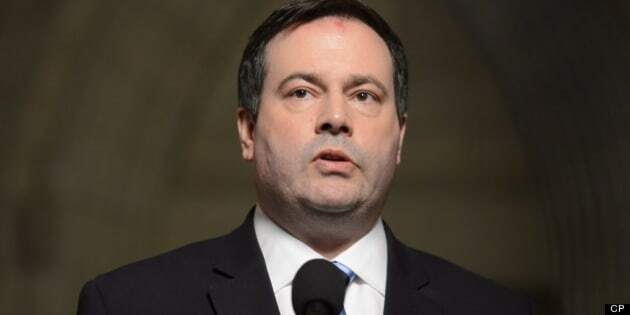 So there’s a greater degree of reliability and in many respects, employers have begun to see [foreign workers] as a more efficient workforce, but that is not what it’s there for,” Kenney said. Setting aside the implication that Canadians don't show up for work, Kenney's comment is clearly an argument against the TFW program altogether. “Indentured” is a word that Kenney has been using recently to describe foreign workers (here’s an example from June) but … wow. That’s one step short of calling foreign workers slaves. Kenney was talking to the media in P.E.I. this week after unveiling data from his department showing that hundreds of fish processing plant workers were unemployed in the province last year, even as the plants hired between 50 and 245 temporary foreign workers. He said the data is evidence of a “mismatch” in the labour market, and an example of how the TFW program is no longer the “last-resort” program it was meant to be. He would not say whether the “mismatch” was evidence that employers are choosing foreign workers over local labourers. But nor would he suggest that out-of-work fish plant workers are improperly collecting EI instead of looking for work. “It’s a question of really nudging both sides so that we can ensure that Canadians are taking Canadian jobs as much as possible,” Kenney said. Earlier this week, Kenney said the federal government had recorded a 74-per-cent drop in TFW applications this summer, compared to a year earlier, following an overhaul of the program announced earlier this year. The Tories have raised the application fee for employers wishing to hire TFWs, tightened the standards for issuing a TFW permit and raised minimum pay for TFWs to the “prevailing wage” for the given job, from the previous standard of 15 per cent below the prevailing wage. When asked what employers facing a labour shortage should do now that foreign workers are harder to come by, Kenney gave the Guardian a response typical of opponents of the program: Employers can just raise wages, he said. “I believe that if there is a market problem, entrepreneurs have to find a market solution,” he said. So … employers are cheap and lazy? This, coming from a Conservative cabinet minister?